Patricia Ann Joles Malunas, 79, passed away December 1, 2018 at her residence in Painesville Township. 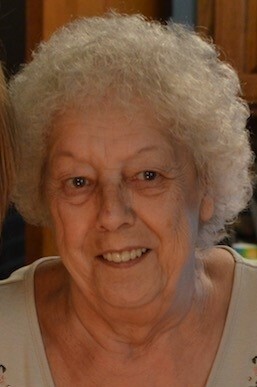 She was born August 9, 1939 in Painesville to Edward S. and Mary G. (Demko) Widgren. Patricia worked for I R C Fibers, the former Rayon, for 10 years. She enjoyed reading the newspaper, watching her favorite shows on TV, word search puzzles and crocheting. You could always find her sitting on her front porch. Patricia is survived by her son Arthur D. (Judy) Joles Jr.; daughter, Deborah Bowman; grandchildren, Eddie, Mike, Josh and Jessica, and 6 great grandchildren. She was preceded in death by her husband, Charles Malunas; her first husband, Arthur D. Joles Sr., her parents, Edward and Mary Widgren; brothers, Edward Widgren and James Widgren; sister, Mary Nasca. Should friends desire, contributions may be made in care of the family.